Abandoned or derelict vessels will soon be removed and disposed of from the Territory. The removal of these vessels is in accordance with the Disaster Management (Amendment) Act of 2018, which was passed by the House of Assembly on July 2, 2018. 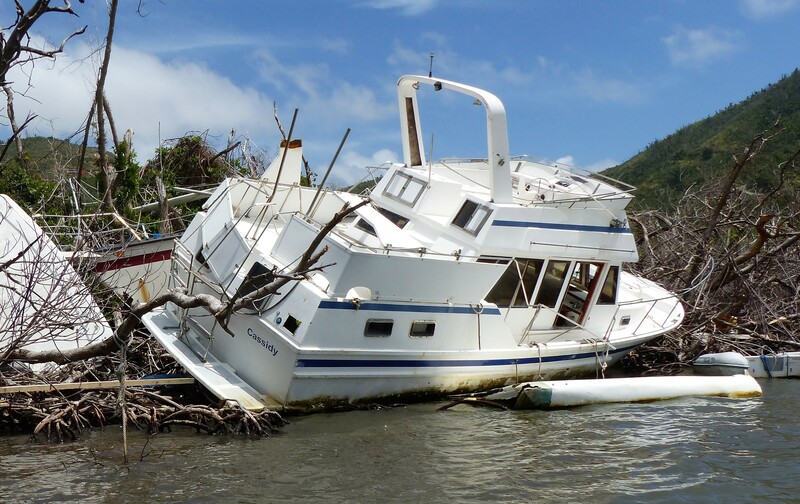 The Disaster Management (Amendment) Act 2018 declares derelict vessels, shipwrecked or otherwise abandoned by owners following the 2017 hurricanes, to be hazards, thereby providing a way forward for the rapid removal of the abandoned or derelict vessels in the Territory whilst providing safeguards to the owners of the vessel. The Government of the Virgin Islands determined over 300 derelict vessels throughout the Territory and affixed notices on these vessels, where possible, as well as published links to the list in the newspapers on August 9 and October 20 of this year. Notices could not be affixed to vessels that were completely sunk in the water or were not safely accessible due to their locations. Boat owners are being urged to be aware that their vessel may be included in that list and to check their vessels and newspapers and the Gazette for notices from the Government. The list of vessels identified and affixed with notices have been published in The Gazette and are available for viewing via the following link: http://www.bvi.gov.vg/derelict-vessels. The Virgin Islands Shipping Registry holds an updated master list of all vessels identified to be a derelict. If the owner or the insurer does not establish their interest and claim the vessel from the Receiver of Wrecks within 30 days following the notice, then the Act considers such a vessel to be abandoned. If the owner or insurer of the vessel does not remove and dispose the vessel within 60 days from the date of issue of the notice then the Receiver of Wrecks can take possession of the vessel and remove or sell or dispose of the vessel as is considered necessary. This makes the owners or the insurers liable for the entire cost incurred for removal and disposal plus a penalty. The Receiver of Wrecks can be contacted at the Virgin Islands Shipping Registry located at RG Hodge Plaza, 2nd Floor, Wickham’s Cay I, Road Town, Tortola. Additionally, the Receiver can be contacted via telephone at 468-9646 or via email at vishipping@gov.vg.